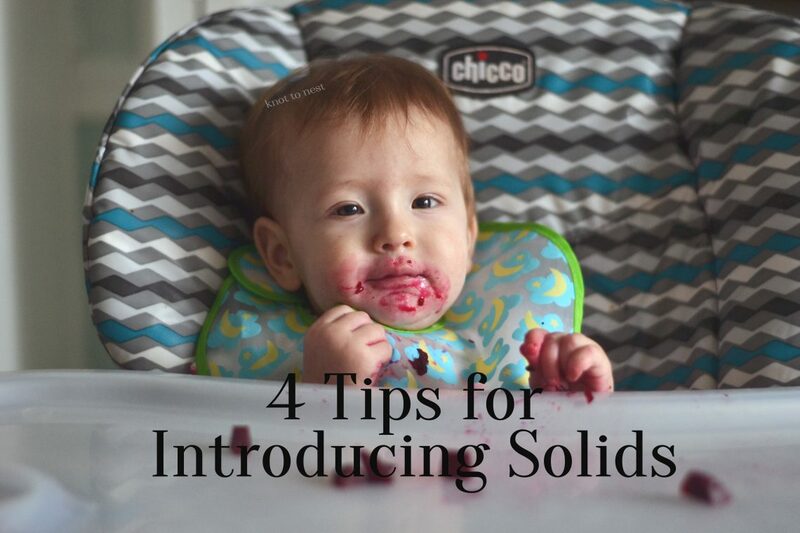 With both our littles, each new milestone is exciting but beginning solid foods was certainly near the top of the list. Maybe it is the adorable faces babies make or the curiosity of what foods they will prefer but either way we were excited for this next step. 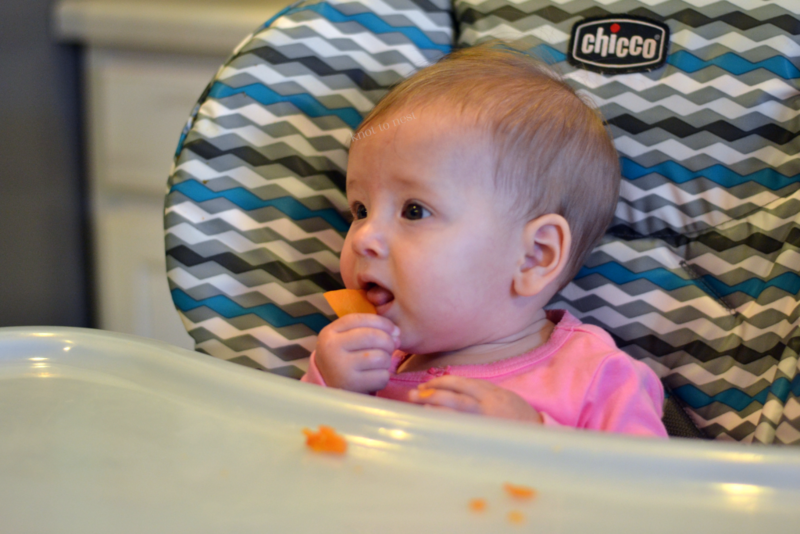 Though we were very excited, we chose to follow the recommended guidelines of waiting until at least 6 months old before introducing solid foods. Along with the 6 month time frame, we also waited until they seemed interested in food and could sit upright unassisted. I strongly encourage all parents to work with their children’s healthcare providers and complete their own research before starting any new foods. Remember food before one is just for fun so don’t feel rushed or pressured to start until you AND your baby are ready. 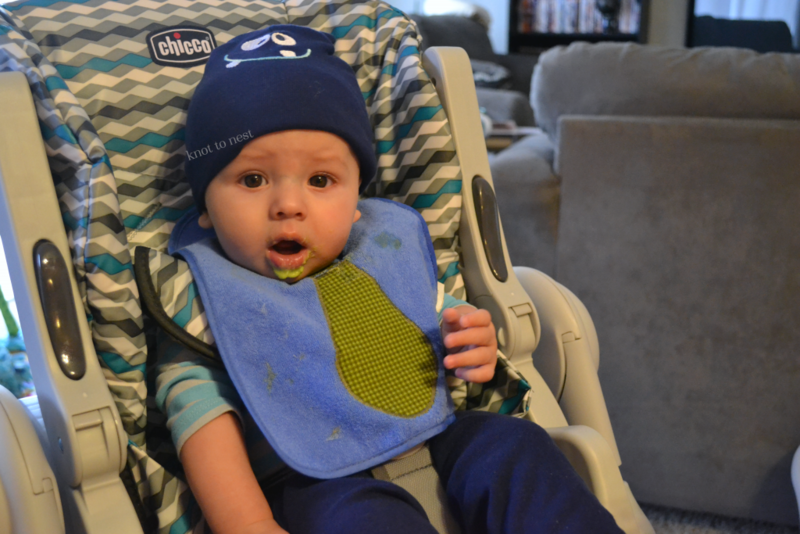 With Asher, we started solids at 6 months, and I opted for homemade puree-type foods to start. I liked knowing what was in his food and how it was prepared. And even buying organic, it was more affordable than store-bought as one piece of produce could last 2-3 meals. After researching food options, I decided to forego any sort of baby cereals as they are not as nutrient dense as whole foods and have shown to upset some baby’s stomachs. It was also decided to include only one new food per week. This allowed time to see how he tolerated things and if any allergies were present. I began with veggies and after several weeks began introducing fruits. Mr. Asher at 6 months trying avacado for the first time. Now, I say pureed-type because the food I prepared and blended with our baby bullet blender, was never as smooth as store bought baby food. 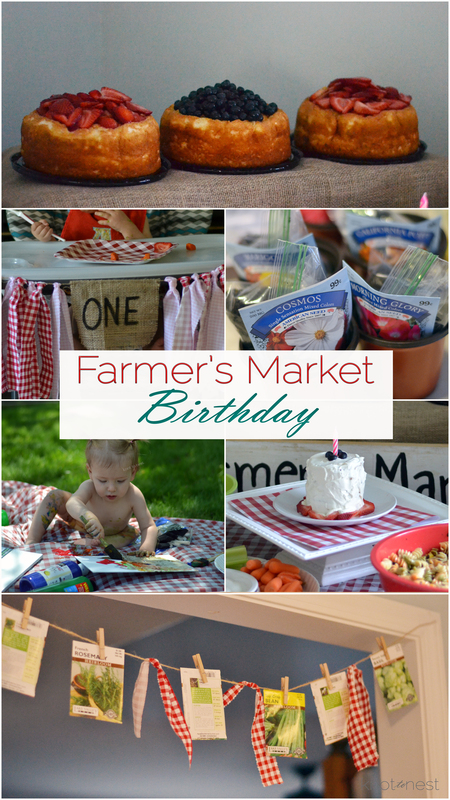 We used this process of pureeing and spoon feeding for a few weeks but eventually moved to just steaming the produce and giving him smaller portions to gum at and eat. 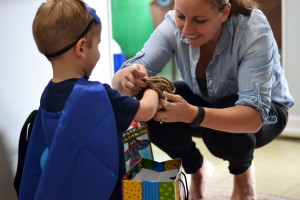 He continued to eat a variety of veggies and fruit until closer to a year when he was given small bits of meat and grains. For Miss E I decided to forgo pureeing and do baby led weaning using the same recommendations and guidelines as Asher. For miss E this meant not starting solids until 7 months as she wasn’t able to sit upright, unassisted until then. 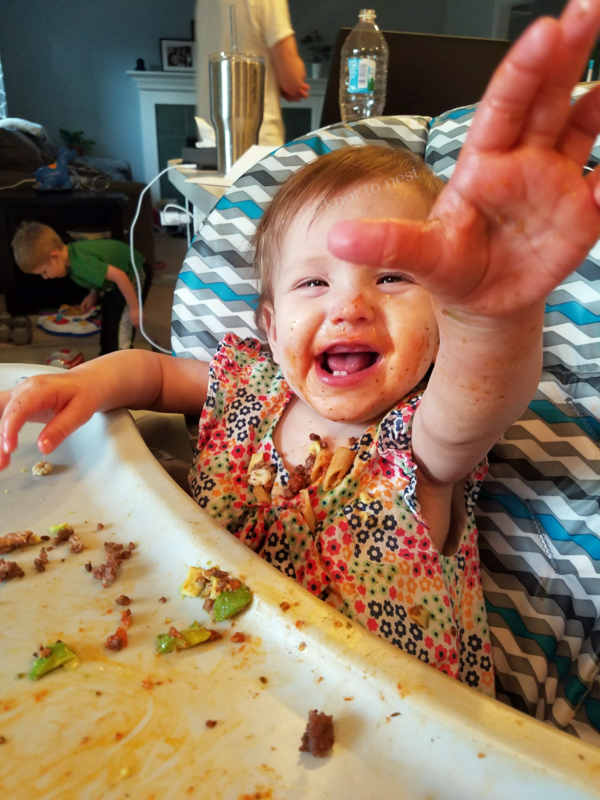 The process of BLW involved baby girl skipping purees entirely and heading straight to getting bits of food on her tray for her to explore and eat as able. I guess we sort of did this, eventually, with Asher but I wanted to use this method from the beginning with her. With both children it has been very important to me to make their food so this go around was no different. I usually purchased a new veggie or fruit each week and steamed it for her meals. 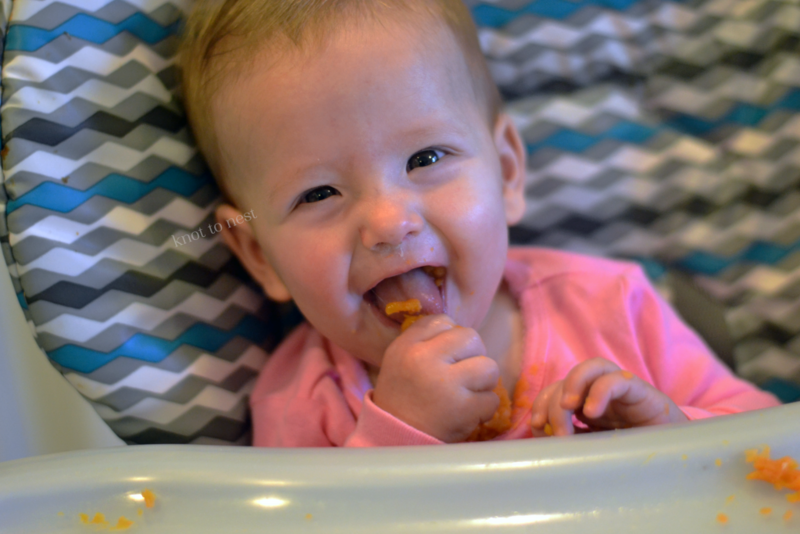 To start this journey she had sweet potatoes and as you can see she really loved the process. Beware, this will be a messy process and by messy I mean the high chair, child, floor and any nearby adults. And don’t be discouraged if it seems like baby ingests little to no food for several “sessions”. 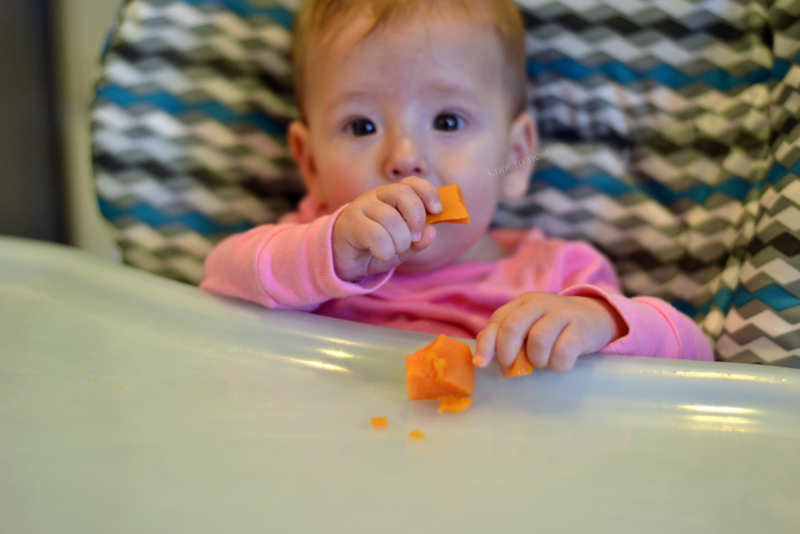 Baby led weaning is as much about the sensory and exploration of the food as it is about the actual food. Babies will learn about textures, chewing, swallowing, flavors, etc. Silicone mats: like this make eating on the go super easy. It folds up and has a place in our diaper bag. I have one for both kiddos and use it all the time. Food Prepping and Freezing: I like to steam 3-5 different foods and freeze them into individual servings. This allowed me to easily pack meals on the go. Having a good, portable lunch box/container made taking food on the easy. I really like the Bentgo Kids Lunchbox. Bibs…all the bibs! 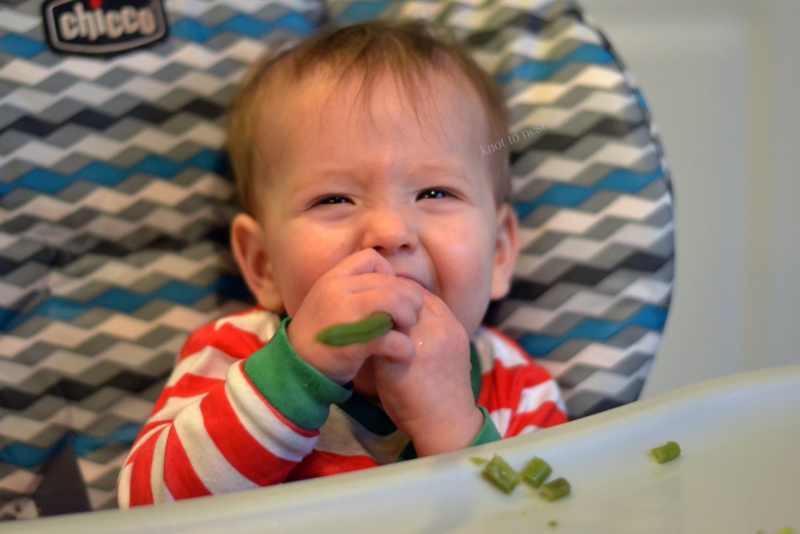 it is seriously messy stuff this baby led weaning. Having large bibs in the kitchen and diaper bag made saving clothes a bit easier.